America’s vast open spaces, endless recreation areas, and large families conspire to create a market for big vehicles. The 2016 GMC Yukon fills the needs of those who want to move up to 9 people at once, tow a large trailer, and go anywhere in any weather, possibly all at the same time. The Yukon was redone in 2015, receiving a more angular style on the outside, which gives it a boxier but also more modern appearance. The interior was also updated. For 2016, the changes to the Yukon are mostly small, but a few are important. The Yukon adds lane-keeping assist and automatic high-beam control, and the Driver Alert Package is updated. Cap-less fuel filling is now standard, and the SLT trim gets a hands-free power liftgate with helpful sensors and height limiters to keep it shiny and dent free. Color additions include Crimson Red Tintcoat for all trims and White Frost Tricoat for SLT trims. All 2016 Yukons have 3 rows, but the seating configurations vary depending upon trim and packages. Three benches, including the front row, can seat 9 in total, but don’t expect those to be fancy. These versions are intended to be work trucks. Versions with captains chairs in the front and second rows can accommodate 7 and can be had in both lower-cost trims and also very highly optioned Yukons. The third seat is still a big area in these full-size trucks, but kids will be happiest in the way back. Behind the last row of seats is a generous cargo area. With the seats dropped, the Yukon is massive and can accommodate 1,750 pounds of stuff. The Yukon model itself is the shorter, standard-wheelbase SUV in the GMC full-size family. The Yukon XL is about a foot longer, and Denali versions are fancier and have larger engines. The 2016 Yukon can be had with either rear-wheel drive (RWD) or all-wheel drive (AWD), and each version is equipped with a 5.3-liter Ecotech V8 engine. This engine has 355 hp and 383 lb-ft of torque. GM’s 6-speed automatic may seem a few gears short of what we've come to expect in cars, but the active fuel management system means highway fuel economy is estimated by the EPA at 23 mpg for RWD and 22 for 4WD versions. Flex-fuel versions capable of operating on E85 are available in some markets. Full-size SUVs stand out from minivan people-haulers by their ability to tow truck-like weights. All Yukons come with basic towing equipment including a trailer platform, 2-inch receiver, and seven-wire harness. Standard Yukons can pull 6,300-pound trailers. Opt for the heavy-duty trailer package and that capacity jumps to 8,200 pounds. Yukon’s HD trailer package includes the goodies one would expect, such as an integrated trailer brake controller. Many owners will use their Yukon as a daily driver in addition to a work or vacation truck. The Yukon’s cabin is quieted by triple-sealed doors, acoustic glass, and a body design that features inlaid doors and mirrors optimized for silence. The GMC infotainment systems available in the Yukon are also known for their simplicity and ease of use. There is no mouse to learn here. The touchscreen is intuitive, and large icons make choosing one’s preferred menu easy. Like most GM vehicles, the Yukon now includes 4G LTE interconnectivity. That means passengers enjoy a powerful Wi-Fi signal and that GM can provide the driver/owner with real-time warnings about things like a battery with a problem or a tire that's deflating while you're shopping or at work. GM says the new data system it uses is 100 times faster than prior On-Star telematics systems. An obvious pick as a family vehicle, the Yukon needs to be safe, and it is. The weight and size of the Yukon offer the obvious advantages of mass in any crash, but the 2016 Yukon also offers active safety measures to keep itself out of trouble. A forward-collision mitigation system is available and would seem a no-brainer on a vehicle of this size. The Yukon also has side blind-zone monitoring available, and a rear-view camera is standard. The On-Star crash response system and other On-Star products make the Yukon one of the most connected vehicles on the road when trouble happens. The 2016 GMC Yukon starts at about $48,000. Opting for 4WD and the better-equipped SLT trim with popular options can push the price into the $60Ks. The Yukon is perhaps the most affordable 9-passenger vehicle available, and in all its configurations is very competitive. Pound for pound it is also a tremendous value. Shoppers looking for value, space, safety, and capability should consider the 2016 GMC Yukon seriously. 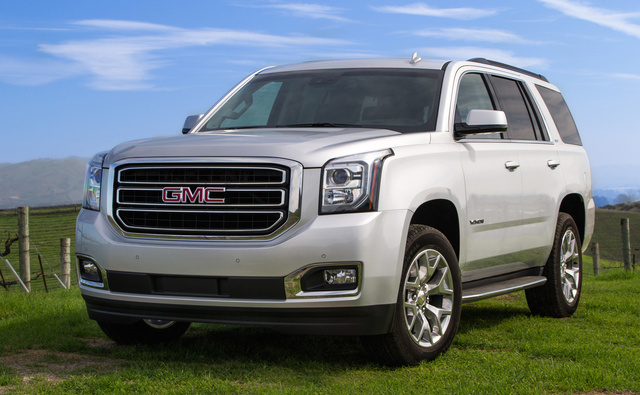 What's your take on the 2016 GMC Yukon? Users ranked 2016 GMC Yukon against other cars which they drove/owned. Each ranking was based on 9 categories. Here is the summary of top rankings. 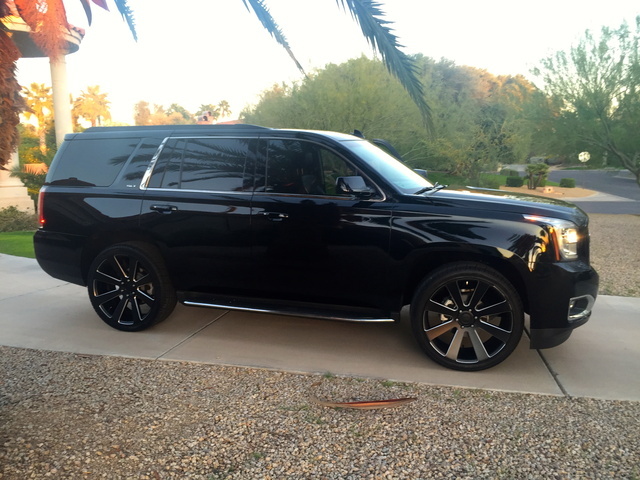 Have you driven a 2016 GMC Yukon? How Do I Add A Car Fax Report To My Listing? How to correct calibrate the compass on my 2016 Yukon?